Cheer® HE Liquid Laundry Detergent, Free & Gentle, 100 oz. just $5.99! Down from $14.99! You are here: Home / Great Deals / Cheer® HE Liquid Laundry Detergent, Free & Gentle, 100 oz. just $5.99! Down from $14.99! You can grab this great deal right now for just $5.99! They are regularly $14.99 but, with the $9 instant savings you can get them for just $5.99! 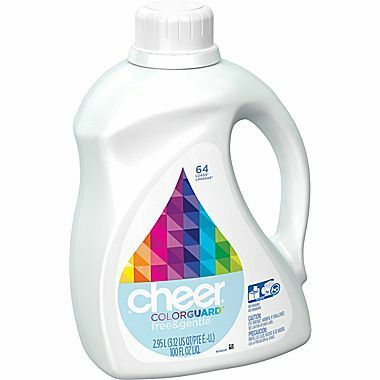 Cheer® Free & Gentle HE Liquid Laundry Detergent brightens whites and colors in just one wash.